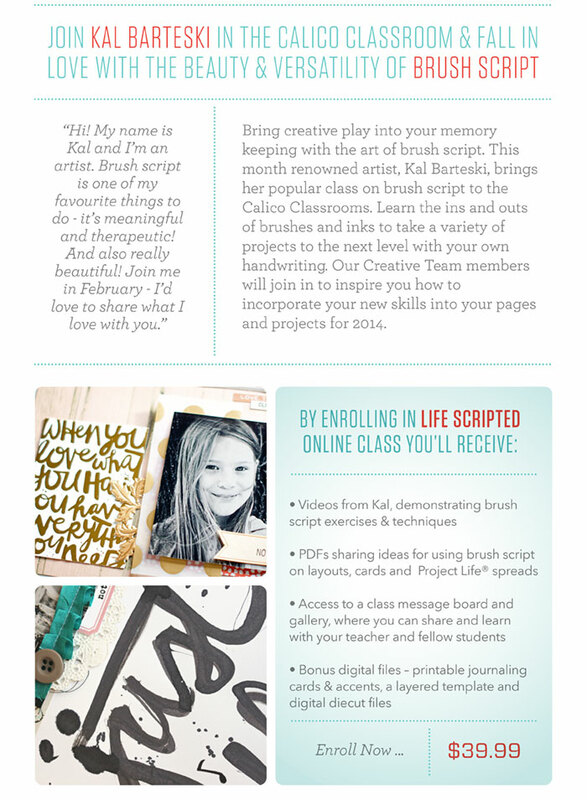 There's a brand new class at Studio Calico...life | scripted with Kal Barteski! 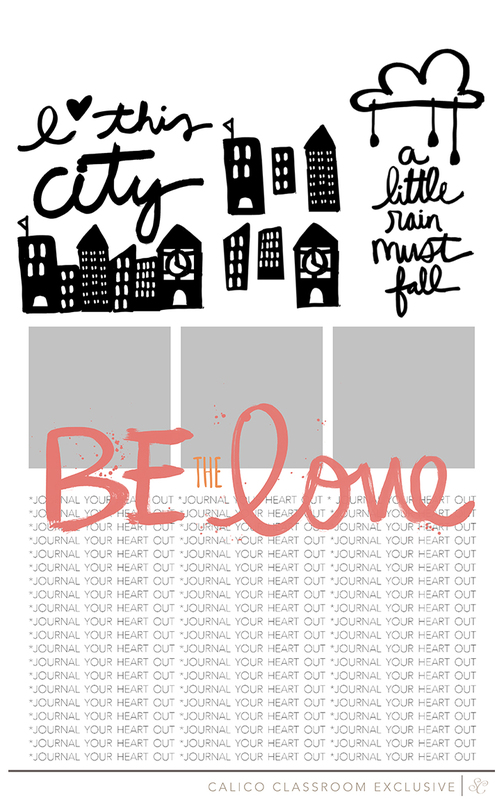 You guys...if you've never seen Kal's brush script work, you really must (click here to go to her blog). It's beautiful...and so inspiring. And she's bringing her brush script class to Studio Calico. And I can't wait. 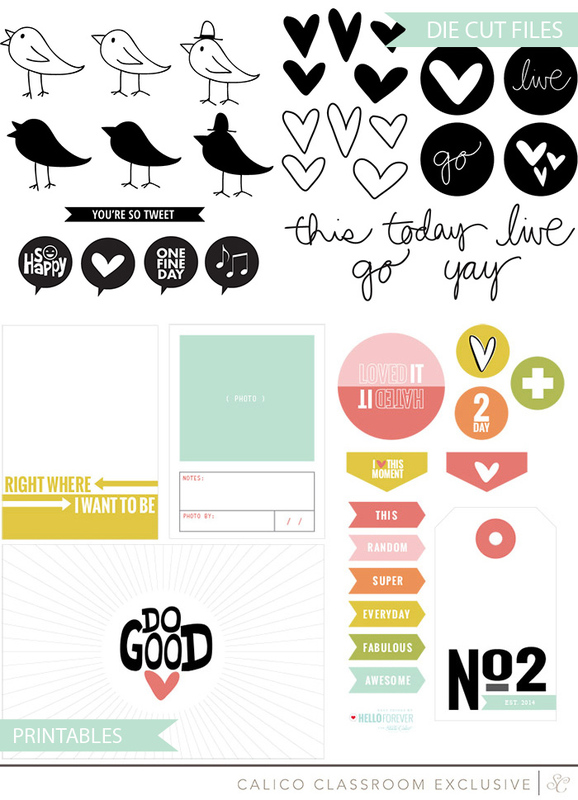 ...and these fantastic die cuts and .psd layered template from Shanna Noel...awesome, right?